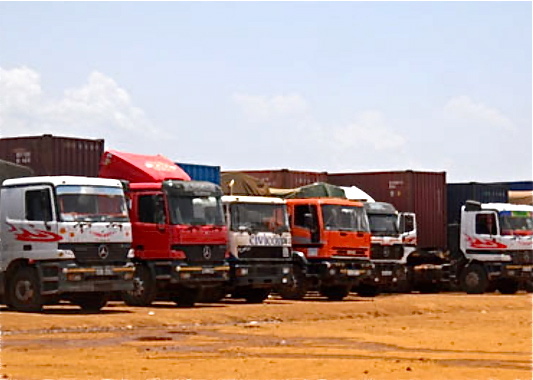 At least 20 illegal checkpoints used for profiteering have been banned by South Sudan’s Interior Ministry, which should help sink the price of commodities imported from neighbouring countries. The checkpoints had been set up on roads leading to Juba from three of South Sudan’s neighbouring countries: Uganda, Kenya and the Democratic Republic of Congo. Clashes erupted in Sudan's Blue Nile state early Friday, making the area the latest and most critical to descend into fighting between the Sudanese government and rebel forces — and bringing the prospect of an all-out Sudanese civil war ever closer to reality. Together with the still unresolved conflict in Darfur and recent war in the Nuba Mountains, the ring of Sudan's rebellions now stretches from the western border with Chad to its eastern border with Ethiopia. Sudan's old civil war appears to be roaring back to life. And chances are, it is only getting started. 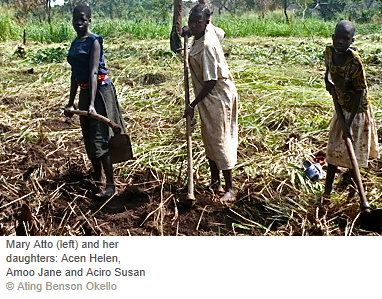 (MAGWI, Eastern Equatoria State) – Gender-based violence and discrimination, widely considered human rights violations, are a setback to nation building. It’s time to heed this truth in South Sudan. The General Assembly President Joseph Deiss announced that the United Nations is ready to admit South Sudan as its newest member. Arriving Friday night in Juba, Ban Ki Moon also urged the leaders from North and South Sudan to resolve outstanding issues. 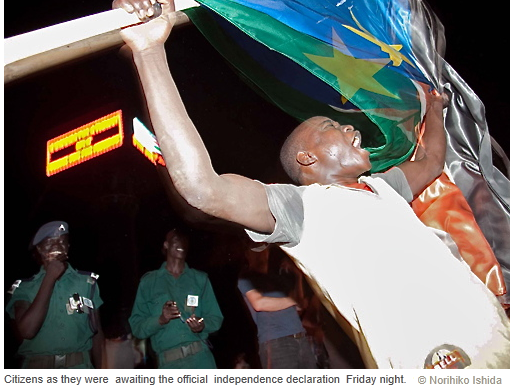 Preparations for South Sudan’s official independence day on 9 July are in full swing. With the historic event just one week away, students and teachers are rehearsing the national anthem of Africa’s newest nation. The official celebration will take place at the John Garang Mausoleum, where the Republic of South Sudan’s flag will be raised.